In the last week or so, there have been some fantastic announcements with respect to upgrade of facilities at Citizens Park. The RJFC Committee has been working hard for a number of years, in conjunction with the Richmond Union Cricket Club and the Richmond Harriers, to seek funding from the City of Yarra to upgrade the Jack Dyer Pavilion and improve the overall standard of facilities for our fast-growing club. In advance of this weekend’s State Election, some recent announcements have been made promising additional funding for the upgrade. These commitments are welcomed by the club, and we look forward to working closely with all parties going forward to turn these plans into action. Below are details of the commitments made by candidates in the seat of Richmond – Richard Wynne MP representing the Australian Labor Party and Kathleen Maltzahn representing the Greens. The club would like to thank both Richard & Kathleen for their support. Nothing brings locals together like community sport. But, as more and more people get involved, our facilities need to keep up. That’s why today I joined Tim Pallas to announce that a re-elected Andrews Labor Government will invest $2 million to upgrade facilities at Citizens Park. 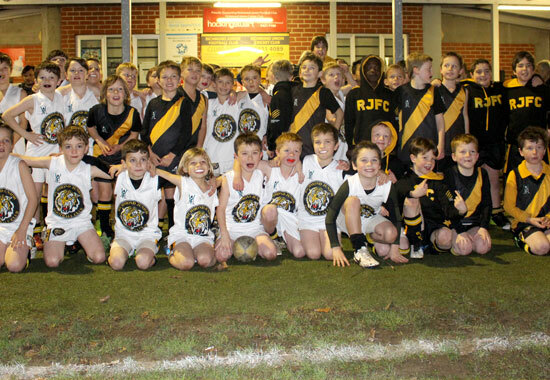 The funding will go towards upgrading the Jack Dyer Pavilion and clubrooms at Citizens Park. It’ll include new dedicated female change rooms and bathrooms, a new kitchen, and a multipurpose clubroom. Thanks to these upgrades, local clubs like the Richmond Junior Football Club, Richmond Union Cricket Club, and the Richmond Harriers Athletic Club, will all benefit. It builds on the biggest investment in grassroots sport in Victoria’s history, made earlier this year. Only Labor Governments make investments like these. The Jack Dyer pavillion at Citizens Park is an amazing hub of sporting activity for hundreds of cricket and footy players and supporters at the Richmond Union Cricket Club and Richmond Junior Football Club, amongst others, powered by amazing volunteers. Not surprisingly, the clubs are getting more popular every year, especially with the welcome addition of more women’s teams, and the pavillion is bursting at the seams. It’s time for facilities that work for players, and so I am delighted to commit $940,000 towards upgrading the pavillion. More generally, I am mindful that the Andrews Government has made a number of funding commitments to local sporting groups. If I am elected as your MP, and if Labor forms government, I will hold the government to account, and ensure that their promise of funding is honoured.